Source: KARK Viewers of KARK News at Noon may notice a couple changes when they tune in beginning Monday, April 2. That's because the first 30 minutes of the show will be shown across the state of Arkansas. "Arkansas Today," featuring Mallory Hardin and meteorologist Greg Dee, will launch Monday and be seen on KARK in Little Rock, KNWA in Fayetteville, KTVE in El Dorado and KTAL in Texarkana. The broadcast will be available in 1.4 million households. In addition to news from across the state, Arkansas Today will feature a daily Razorback Nation report, valuable health reports from renowned doctors, weekly fishing reports from Big Sarge, and a chance to connect and discuss news topics with other Arkansans through the Arkansas Today Facebook page and Twitter account. "We know that Arkansas pride goes beyond just the town or city that people live in. Arkansans are passionate and want to be informed about what's happening throughout the state." said Nexstar Broadcasting Director of Local Content Development Jerry Walsh, "Arkansas Today is unique in the fact that four stations are being given equal ownership of a product with one goal; to provide complete coverage of news and weather relevant to people in every county of Arkansas." With the change in programming, the popular "Dialing for Dollars" segment will now move to the 12:30 p.m. portion of the program. Dr. David will continue to be featured in the second half hour on both Wednesdays and Fridays. TvSpy is reporting Newport Television, parent company of KLRT, 16/Little Rock has put its stations on the market. Newport Television was founded in 2007 and aquired the TV stations of Clear Channel Communications. So what's with the branding promos with the tagline that KSLA is now running as "The Number One Station in the ArkLaTex"
Is this countering KTBS's "Most Watched Station in the ArkLaTex" since 3 edged ahead in the ratings? Wonder who was at the bottom. I doubt we will see promos that say "We are last...We are last!" 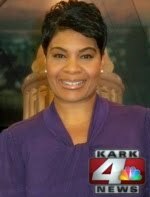 22-year KATV Anchor/Reporter Pamela Smith is leaving the station for a job with the local school district. 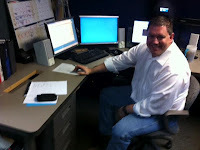 Smith is leaving the local news biz to become the Communications Director for the Little Rock School District. According to her bio at KATV.com, she started at the station as a general assignment reporter in 1990 and was promoted to anchoring the weekend newscasts. August 2011 Smith became the morning host for Good Morning Arkansas. A face book posts says Chopper Scott Munsell has left KATV after nearly 20 years at the station. The post says he is leaving for a job at the Highway Department. Got a tip...drop me a line HERE You will remain anonymous! A former Shreveport anchor is now on the air in Little Rock. Former KTAL/Shreveport morning anchor Deedra Wilson joined KARK/Little Rock as a general assignment reporter in January. 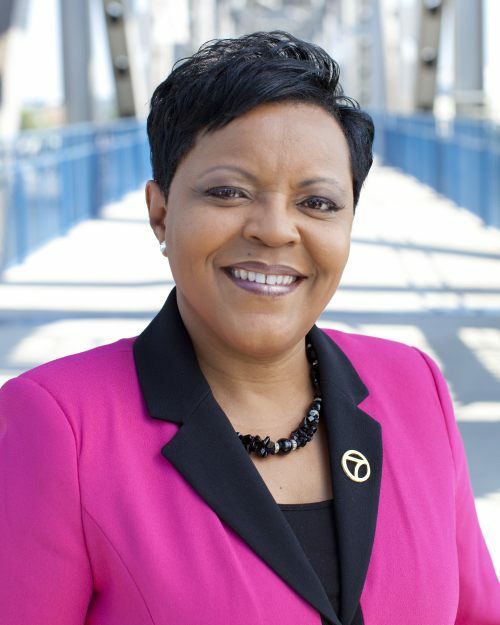 Wilson got started in the business at KTVE/Monroe, LA then worked her way to KTAL. Since then she's work in Nashville, TN...then headed to Beaumont, TX. Sweep the Sweeps Right Out the Door! February sweeps period is now over thank goodness. No more crazy and wild stories and investigations. Even just regular viewers know by now when the sweeps periods are. During the period all the main anchors are on and once its over they start being gone for weeks at a time. Also during sweeps normal viewers seem to notice how all the stations start focusing on stories out of the metro areas in which they are located. While the outside Central Arkansas viewers love the attention, it's quickly noticeable when sweeps are over it's back to covering just Central Arkansas. I have to say the Shreveport stations are really good at covering stories out of the Shreveport/Bossier City metro area nearly all the time. So until next sweeps period we can expect real news versus tuning in to win prizes! Now we are just waiting to see who won what. National Morning News Shows Ratings. Does Anybody Watch the Sunday Morning Political Programs?